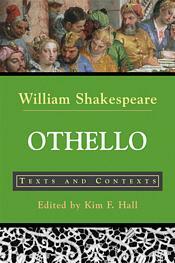 This edition of Othello reprints the Bevington edition of the play accompanied by six sets of thematically arranged primary documents and illustrations designed to facilitate many different approaches to Shakespeare. The text includes tracts on marriage, travel literature, military manuals, maps, ballads, royal proclamations, early modern descriptions of Africa and the Middle East, nineteenth-century scripts for performances of Othello, and scenes from contemporary re-envisionings of the play. The primary documents contextualize race and religion in the Renaissance, gender relations, military life, the passions, the notion of the "Other" in early modern England, and the afterlife of Othello on the stage.